Lazy Sunday markets and the roadworked steets of DOOM! 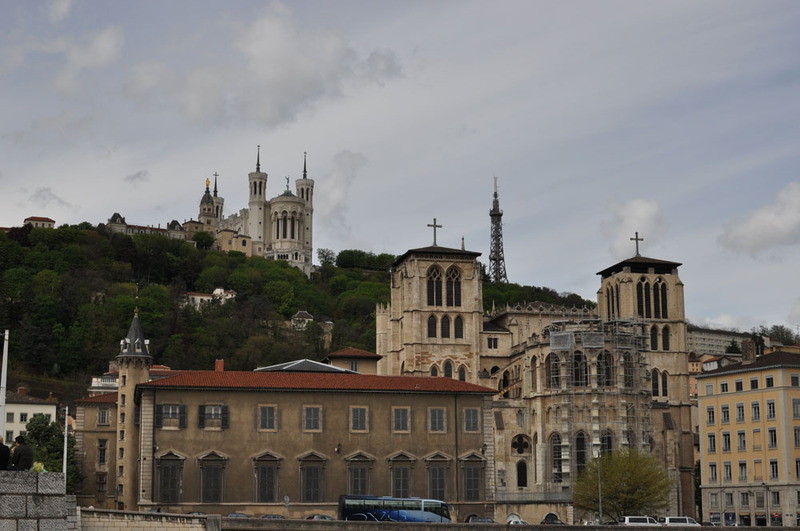 After packing up our fresh, clean clothing and saying goodbye to the small town of Bourg-en-Bresse in the south of France, we journey on to Lyon and find that the drive doesn’t take too long. We arrive a little too early to check in at the hotel, but leave our bags there and head to the fresh produce markets currently open on the riverbanks. 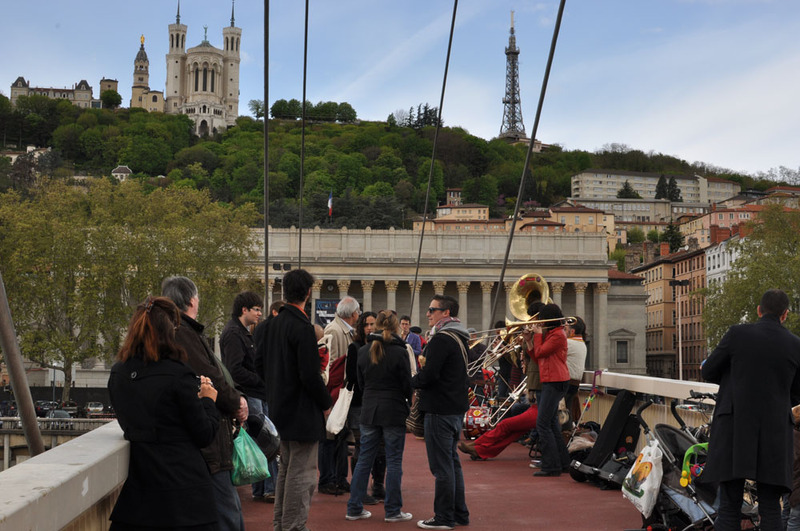 As we arrive there is a brass band playing on what seems to be the main bridge, connecting the parking area with the markets. There is an amazing assortment of fresh products on sale, each vendor trying to drown the next with their shouting. 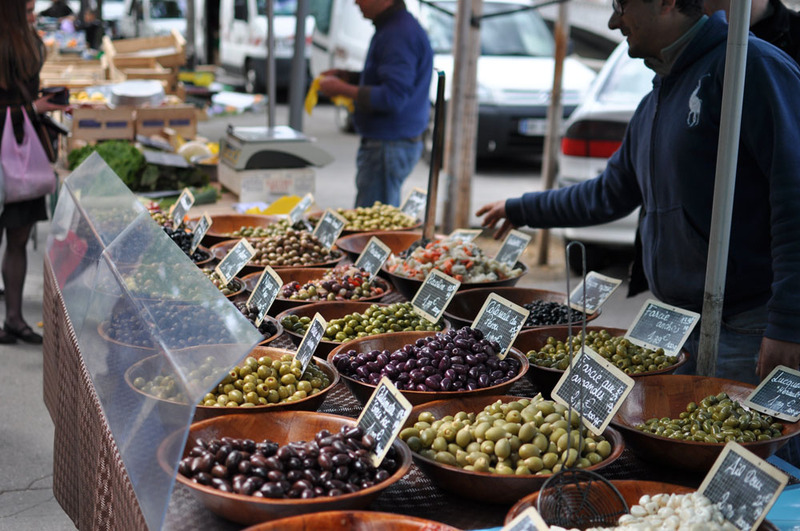 We recognize a few from one of the markets we visited in Turin in Italy a week ago. 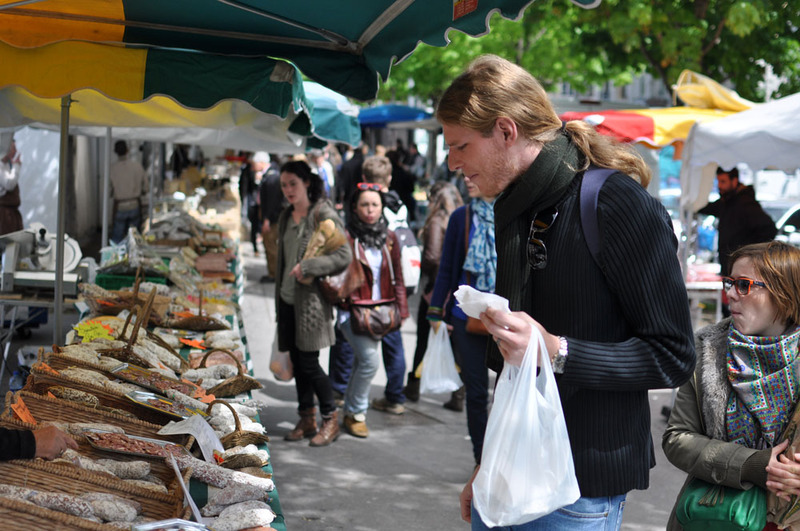 We stroll along the riverside tasting cheeses and meats, watching the other shoppers. 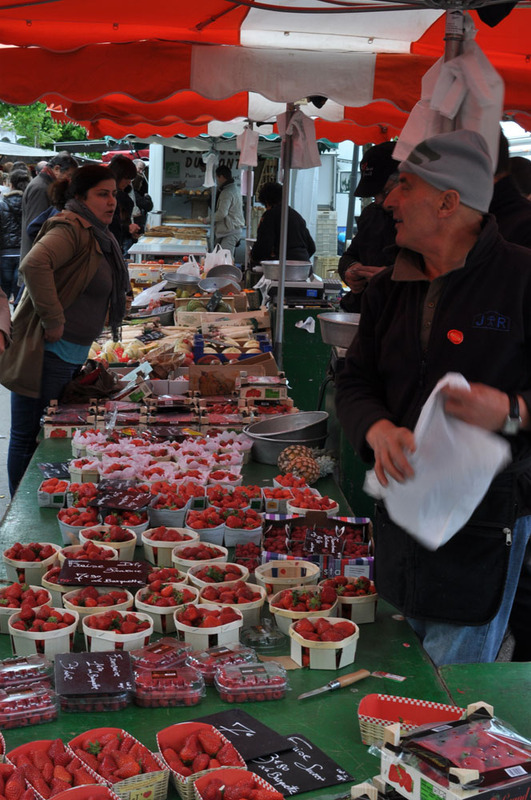 One of the stall owners starts a heated conversation about her wares with Francois in French, never allowing him a chance to explain that he can’t understand her. He eventually walks off and we continue our people-watching. We get something to eat from one of the many stalls, and keep walking. The views are absolutely spectacular, made even more so by the fact that we have a few hours worth of sunshine again. After sating our appetites and sure that we can check into the hotel now, we venture off in search of a gas station to refill the car and then the rental car agency to return our little Renault. What should take no more than 20 minutes, turns into a 90 minute ordeal as we are forced to take detours across the city due to roadworks , and are sent from one one-way street to another. When we eventually arrive at the parking area for rental returns, I am far beyond my limits for dealing with unknown areas and useless GPS’s, and we head back to the hotel on foot. We check in and are shown to our ‘room’, though ‘apartment’ would actually be a better description. Living in luxury for one night, we take full advantage of the fact that we have a kitchen and enjoy some wine and dinner at an actual table. We’re off to bed early though, as we have another early train tomorrow to Paris. This time we double-checked that we have the right train station, as we didn’t want a repeat incident of our last train ride! Continues in part 11 with our (rainy) visit to Paris, France.